This blog is serious and about something seriously clever. It involves one of the two most predatory companies when it comes to pushing junk on our children – Kellogg’s. Coca-Cola is the other chief culprit. The marketing person who conceived this idea deserves the marketing world equivalent of an Oscar. It is genius. The Guardian reported in April that 26 people and organisations complained to the Advertising Standards Authority that the advert was irresponsible because it targeted schoolchildren, and encouraged them to eat a snack that was particularly high in sugar. The ASA rejected the complaints, accepting the Kellogg’s argument that although Coco Pops are approximately 35% sugar, there is no current UK or EU definition of “high” as far as sugar content is concerned. I wonder how many of those who complained have fallen for the latest scam? Against this backdrop of criticism, the cunning marketer has the idea – if we can create a sob story that children are starving and present Kellogg’s as the white knight that comes to the rescue – maybe these campaigners will stop attacking us? Maybe we can position Kellogg’s as the marvellous saviour of hunger in poverty stricken Britain and then this inconvenient opposition will look really mean trying to stand in the way of a child and their right to a 35% sugar breakfast? If that marketer could have imagined that they would not only silence most opposition, but that they would have Netmums making videos for them, Heart FM as a radio partner and the Mirror group backing them, they would have barely believed it themselves. I knew that Kellogg’s had been trying to extend their breakfast clubs since 1997. I didn’t know that this particular campaign is in its third year. “Heart warming” – oh for goodness sake! Wake up and smell the money. The idea is that UK PLC does Kellogg’s marketing for them. We tweet, Facebook, blog – generally spread the word about how wonderful Kellogg’s are trying to get sugar in children’s tummies – and Kellogg’s then enjoy a terrific, attack-free, promotion until they hit their upper cap of expenditure. The small print is here: “Kellogg’s will target to pledge £400,000 under the GACAB initiative for 2013.” That wouldn’t even get Kellogg’s one two-minute advert during X Factor. As I said – genius marketing. What about the children who are already getting a great breakfast at home? Those children lucky enough to have mums who know all about real food and healthy eating. Will those children think it’s more fun to attend a breakfast club (a party before school?) and thus start getting Kellogg’s sugary cereal for breakfast instead of the eggs/milk/yoghurt that smart parents would have been feeding them? This Kellogg’s sales strategy is harmful on so many levels. Crikey – no wonder The Mirror Group got involved. The asterisk takes you to an academic-looking reference: Hoyland et al (2012) Nutr Bull, 37 (3), 232-40, UK Kellogg Report, “No food for Thought. The impact of hunger in UK classrooms 2012″. The original article was not easy to find and the whole thing is not on free view, but here’s the abstract. Notice also that only a third of the 14% – barely 1 in 20 – doesn’t eat anything until lunchtime. That’s probably those 11-15 year old dieting girls again. Did 10 of the 14% grab a banana or a packet of nuts leaving the house and have this long before lunch time? This is as much (more?) about children valuing sleep more than breakfast and being quite happy to eat something once they’ve woken up. It tells us nothing about poverty-driven breakfast absence in the UK. But don’t let the truth get in the way of a good story. Would it be better for every boy and girl under 15 to start the day with eggs? Absolutely. Make that every human. However, that’s not what’s on offer here. When the concoction that Kellogg’s is trying to stuff into our children is more sugary than the doughnut they might pick up en route, don’t give me the line that Kellogg’s are trying to do a good thing here. And if this is about poverty/cost, then a quick check on Tesco groceries tells us that Coco Pops are 36p per 100g; Rice Krispies are 39p per 100g; and Coco Pops Cocorocks (whatever the heck they are) are 68p per 100g. Meanwhile Quaker oats are 20p per 100g and Tesco every day value oats are 8p per 100g. If Kellogg’s really cared – they could spend their £400k marketing budget on the Tesco oats and feed far more children and with zero added sugar. Before we move on from this study, reiterated ad infinitum as ‘evidence’ for the one in seven positioning, it should be noted that Nutr Bull stands for Nutrition Bulletin (I know – the second word should have stayed abbreviated! ), which is a British Nutrition Foundation publication. 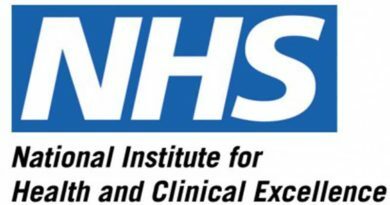 As a reminder – here are the members of the British Nutrition Foundation and here are the sustaining members. You should be able to spot Kellogg’s in among every other fake food and drink company you can think of. Worse, the first person named on a study does the work. In this case, the first person named is Dr Hoyland, who turns out to be Dr Alexa Hoyland. The author information listed for Dr Hoyland says “Institute of Psychological Sciences, University of Leeds, Leeds, UK.” Do a simple Google search and you find that Dr Hoyland is UK & ROI Senior Nutrition Manager at Kellogg‘s, which seems underhand at best and fraudulent at worse. I then wondered what the second listed reference to Leeds University was – the School of Food Science & Nutrition, University of Leeds, Leeds, UK. Check the logo that hits you on the first search page that you find here. This story has been created, engineered and manipulated by Kellogg’s from start to finish. Kellogg’s aren’t just concerned about children skipping breakfast (for whatever reason). When the product you sell is one eaten at breakfast you want to campaign relentlessly to make sure that no one skips breakfast. Apparently 2-30% of men (bit vague) and 24% of women skip breakfast. And how do we know this? Because Kellogg’s tell us. Breakfast skipping harms Kellogg’s profitability – it must be stopped. One of the reasons that this incensed me so much – and probably the Children’s Food Campaign too – is that people working in the arena of obesity are all too familiar with the tactics of the likes of Kellogg’s and Coco-Cola. The original eatbadly plate was called The Balance of Good Health. It was launched by the UK Department of Health in 1994. This original version was Kellogg’s branded (The eatbadly plate replaced this in 2007, but the cornflakes clearly shown will still trigger the thought “Kellogg’s” in the minds of most people.) Kellogg’s (and Coca-cola – see the red can on the plate) have managed to infiltrate ‘healthy’ eating messages from the outset. 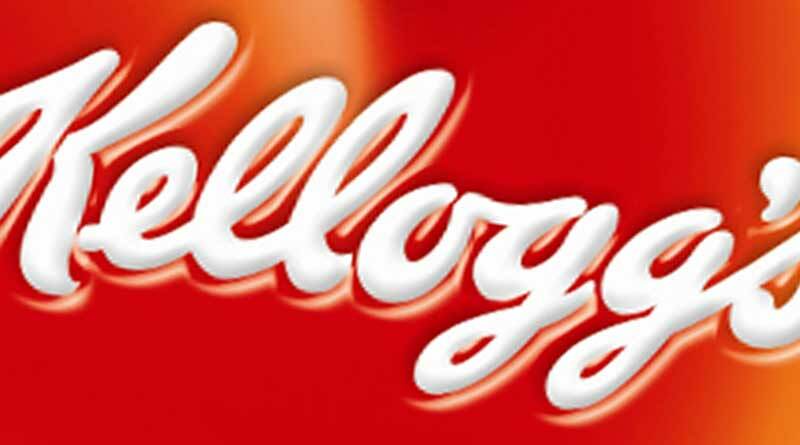 Kellogg’s are a partner of the American Dietetic Association, as are Coca-cola. 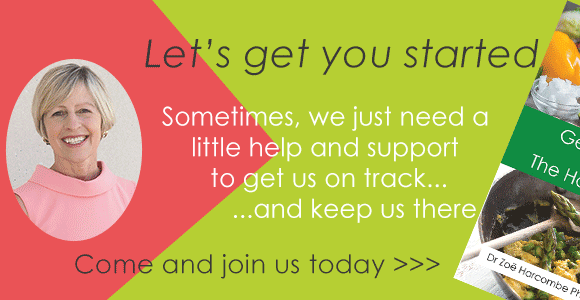 Kellogg’s are a major partner of the Dietitians Association of Australia. 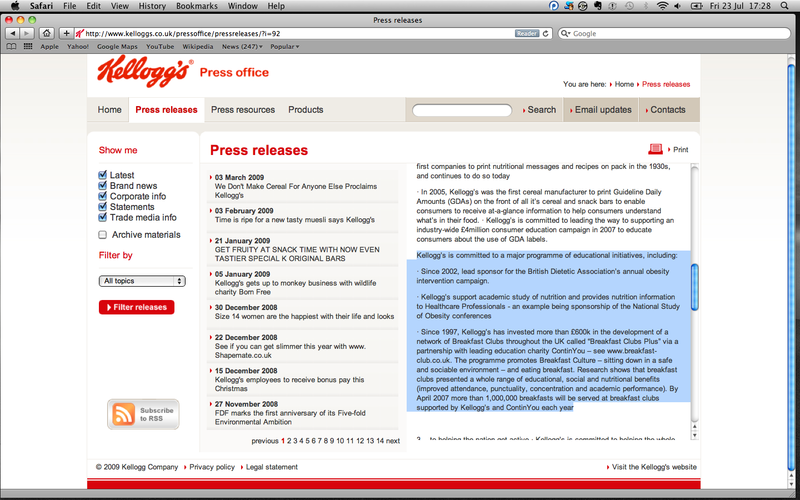 A press release, dated 1 March 2007 entitled Kellogg’s: commitment to health and wellbeing, informed me that Kellogg’s had been the lead sponsor for the British Dietetic Association’s annual obesity intervention campaign since 2002 (and may still be). Kellogg’s are one of many fake food companies who have associated themselves with The Department of Health, Change4Life programme, managed by the UK National Health Service. The £75 million programme was criticised for the involvement of junk food partners from the outset. Marketing Week noted that Richard Watts, co-ordinator of the Children’s Food Campaign at lobby group Sustain, was concerned that allowing companies to use the Change4Life logo gave companies “tacit support”. Kellogg’s have been sponsors of the Amateur Swimming Association’s (ASA) awards scheme, with the “Kellogg’s Swimtastic Awards” as a key annual event. This partnership started in 1996 and 15 million children had taken home a Kellogg’s branded award by the mid noughties. The ASA annual report (2004) said, under the heading “Another Grrreat Year”, “It’s been another financially successful year for the Kellogg’s Frosties ASA Awards Scheme… The Annual Awards Gala Dinner, now known as Swimtastic, was held… Tony the Tiger was of course around to lend a helping paw of support to everyone.” Oh love him! The word “growth” appears 24 times in the brief opening statement. The word “obesity” appears once in the 98 page report: “Our innovation teams develop nutritious foods that take into account major public health issues, such as diabetes, heart disease and obesity.” In the 2009 annual report, the word growth appears 85 times; the word obesity not once. Why would Kellogg’s sponsor so many different dietary organisations when obesity does not appear to be a subject worthy of mention in the annual reports? When I shared these growth missions in my obesity book I actually asked the question – I wonder how ‘moms’ feel about being targeted and manipulated in this way? We now know. They’ll be fronting the campaign! And, of course, Kelloggs products are made from GMO, genetically modified, grains. America needs to sell as many of these subsidised crops as possible so that the big agricultural behemoths can continue to sponsor elections. Meat, dairy, eggs, fat and oil cause diabetes type 2. Low fat VEGAN diet cures diabetes type 2. It ain’t that hard people. Sev, please grow a brain. I realize that I’m pretty late to this discussion. Having just read the “fact sheet” and the synopsis of the breakfast skipping “research” I just have a few observations and comments from personal experience. First off, this was a study of 3,311 kids. – that’s hardly a lot. Of that, less than 140 kids didn’t eat anything before lunch. So, we are supposed to assume that this means there is a huge need for breakfast clubs. The research occurred when breakfast clubs already existed and only 4% indicated that they were getting fed at the clubs. There is nothing to indicate that the kids who didn’t eat were not offered the opportunity of attending an existing breakfast club and therefore there is nothing to indicate that breakfast skipping was not due to personal choice. Now to the fact sheet…breakfast skippers have poorer mental capabilities. Well, I was a breakfast and lunch skipper throughout my teenage years. I would often vomit (not by choice, this wasn’t a psychological issue) if I tried to eat early in the morning. I left school with 11 O levels and 3 A levels. I attended university in the USA, achieving Bachelors and Masters degrees with an A grade in every subject. When I did eat cereal, I would often find that I could not concentrate because of a sugar buzz and that I would be ravenously hungry within an hour or so of eating. It was better not to eat anything. This fact sheet is also laughable in the facts that it presents. There is a huge range in the number of men that skip breakfast (2-30%!) and yet they are dead certain that 24% Of women skip breakfast! My favorite “fact” is “Greater milk consumption: Teenagers and adults who eat breakfast cereals regularly consume more milk at breakfast than non-breakfast eaters.” Talk about stating the obvious; if someone isn’t eating breakfast then they won’t consume any milk at breakfast because they are not eating! Then, throughout their list of facts, they have consistently referred to “breakfast cereal eaters” until we get to “less susceptible to illness” where they just state that there is a link between eating breakfast and reduced mortality and susceptibility to physical illness….does this mean eating any breakfast leads to lower mortality and illness? So cereal isn’t necessarily the causative factor? If so, what was the rate of cereal eating versus other foods? Lastly, the only cereals that they use as examples are their lower sugar cereals that are typically marketed towards adults, not children. Everything you say is spot on!! I am continually battling at my son’s school to try and change the view on sugar and processed foods. Some caring parents ( so they say) go to school to volunteer ‘cooking’ time with the children. They deem ‘coco rice krispies with marshmallows on top’ as a treat. I have repeatedly said, the psychology of children is very basic… if they perceive this as a treat, this is what they will want. Never mind the physiological aspects of wanting the ‘drug’ they are being given. I wouldn’t feed any Kellogg’s cereals to my dog, never mind my family. It is criminal they are able to poison our children and the continued ignorance of the schools, government and the mums is the problem. We must educate our children as part of the National Curriculum on food, as the government is not going to enforce legislation prohibiting this food from being manufactured. If we educate, the children stand a chance and so do their children. Well done for ALL your hard work Zoe…. You continue to enlighten…. So glad I have found your site. Kellogg’s products are not what a child should have to start their day. Netmums founders know this but money talks… To think those women were awarded OBEs, they should be very ashamed… And hang their heads. I read this piece because it’s Christmas and there’s a unwonted pack of Rice Krispies on the table in front of me, making what seemed to me to be rather exaggerated claims about children and breakfast. I found the necessary counter in this article. I note, however, that you pick up a misplaced apostrophe, and then spell asterisk with an x. This is English not Gaulish! well done Zoe for fighting for our children and trying to highlight the tricks these big companies use to promote their “junk” food to our children. Just some ideas for those who are unsure about “good HEALTHY breakfast ideas for our little mites: boiled eggs, fried or scrambled with some delicious brown toast, egg and soldiers, poached eggs, warm bowl or lovely oats porridge, cornmeal porridge or even leftover roast chicken sandwich with some crunchy lettuce, how hard is that??!! Thank you, thank you, thank you! I have been screaming at Heart Radio every time I have heard that ad more or less telling people how wonderful it is to have Kellogg’s for breakfast. I keep thinking, which genius decided that it would be a good thing to create millions of future heart disease patients by joining up with Heart Radio and pushing sugary refined carbs on children? Start them off young, create the addiction eh? The mind boggles. To say I am disappointed at the organisations that have willingly signed up to this campaign is an understatement. I still don’t see why it is anyone’s responsibility other than these children’s parents to feed them – Kellogg’s may feel that they are doing something worthy, whether by giving grants or actual food to school breakfast clubs, but this does not give any parent/carer the right to offload their responsibility onto someone else. Why aren’t breakfast clubs funded by the parents/carers who find them so useful? To return to the matter of actual nutrition, a breakfast of eggs in some shape or form would be great, or bacon, of course, yogurt (not the sugary stuff), porridge, with milk to drink, or maybe even a cup of tea. Like Jessica, I don’t mean to sound as though I’m the sort to deprive children of a meal, and I agree with her that it is wrong to emotionally blackmail people. Someone, somewhere has to pay for all this, and by buying Kellogg’s products, consumers are effectively paying. £450 (including vouchers) doesn’t seem a great deal, to be honest – that’s not even 200 boxes of Kellogg’s Corn Flakes. More seriously – I agree with Jessica, this is about subliminally linking breakfast to Kellogg’s cereals. I also believe we need “solid” protein for breakfast (cf the work of Kathleen DesMaisons)not carbohydrates alone. Time for the revival of “Go to work on an egg”. I’m a bit confused, Alison. Surely you can see that there is a conflicting message going out here, namely that you are a company which provides food intended to be eaten for breakfast, and you are giving money to provide children with breakfast. Even if you do not put any of your breakfasts on the table, so to speak, you are constantly re-enforcing the idea that “Kellogg’s = breakfast”. And ironically you have named four things for breakfast which I, as a type 2 insulin resistant diabetic, would never eat (although I fail to see how ‘juice’ can be filling). So even without the knowledge that every single one of your breakfasts would more than likely cause me incremental harm, you are still offering information which is not helping the obesity crisis. If you could understand that I don’t believe there is one cereal in your entire range which would be healthy for me to eat, perhaps this might make the situation a bit clearer? And I think Zoe would agree that this is a big point which needs to be addressed (but obviously I don’t want to speak for her). I am really conflicted here, because I don’t think you’re arguing the correct case, you’re trying to evoke the emotional argument, that I, as an objector, just want to stop children getting a good breakfast but at the same time I don’t want to be rude to someone who has at least made the effort of coming here. But sugar is not a problem. After all, University of Sydney scientists have documented “an inverse relationship” between sugar consumption and obesity. Yes, eat less sugar and get fatter! It’s the “peer reviewed” Australian Paradox finding. 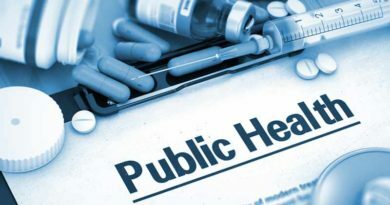 If you think my assessment is correct, please distribute my piece to others you know are interested in public health. If you think what I have written is incorrect or somehow unreasonable, please be very critical wherever you find me on the web. 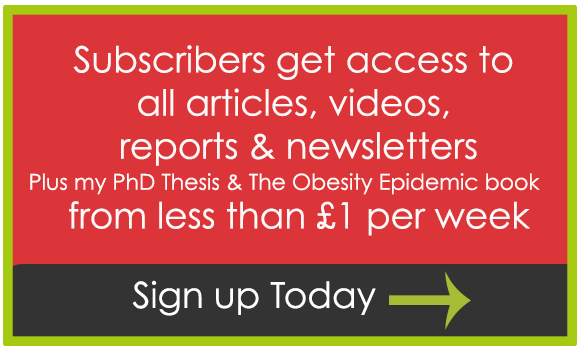 The University of Sydney scientists who discovered that “inverse relationship” between sugar consumption and obesity also have discovered that “There is absolute consensus that sugar in food does not cause [type 2] diabetes”. That’s worth knowing. Perhaps Kelloggs could put the exciting news around so that kids everywhere don’t miss out on all the new yummy-but-still-healthy-food options? If Kellogs wanted to do something even bigger than “Feed a kid a bowlful of sugar”, they could perhaps produce a really cheap version of oats, subsidised by their profit so that they were good quality oats, back it with a “Let’s cook from scratch campaign” and maybe see a dip in obeisty levels. BTW, one of the reasons so many of the kids of today are being encouraged to do more exercise is because of the obesity problem. No obesity = less outcry for exercise. But hey, why make Kellogs look bad for ‘curing’ the problem through a huge marketing campaign….sorry, through “Swimming awards”? Finally, “If this were a pharmaceutical company we were discussing, would you be saying that people should avoid taking ibuprofen when they were in pain, because they’re not doing it out of the good of their hearts, they’re doing it for the money? I hope not, but it wouldn’t surprise me.” well, admittedly, there is at least evidence that ibuprofen does take away pain, but Zoe (and I) are heartily against statins, which appear to be forced on people for the good of someone’s wallet, not because they actually need them. Zoe has already shown her commitment for promoting health against profits, if only you’d read her articles. Fantastic blog Zoe, I instinctively recoiled when I first heard of this campaign, but am now feeling really angry having read all the evidence you have presented. Why is no-one else seeing any of this? The whole country seems to have been duped by the ‘poor children’ line. Its sickening how gullible we all are and just shows how much power the likes of Kelloggs have over us and our health. Its thanks to brave people like you who speak out against it that we ever stand a chance to change things. So thank you! Great article Zoe. Thoroughly researched and referenced. Every move they’ve made here is a calculated business decision with no regard for kids’ health, that’s for sure. Kelloggs are part of the problem, not the solution, and any attempt to paint them otherwise is farcical. grgrsmth, poorer families need less access to cereals, not more. Check what they already eat. Get them some sausages and eggs stat. Gosh grgrsmth, how thorough Kellogg’s are! Fancy spotting Zoe’s blog and sending a special operative round so quickly to bad-mouth her. If you think sugar and refined cereal are healthy, and if you approve of immense bloated wealthy corporations insidiously tricking decent people into lining their pockets, why are you reading this blog? Go away and sell something to someone. Or, better still, eat a lovely big heaping bowl of Kellogg’s cereal, with big heaps of sugar on it. I support everything that Zoe says here. She is the one who does all the research and works hard at getting the Nation to see that they need to change their ways. There is more and more evidence of the harm that sugar does. Not only with Obesity but with behaviour problems as well. I have seen children behave erratically withing minutes of eating the stuff. Feeding the children with high sugar cereals is not Nurturing, but poisoning their systems for long into the future. Do some research and you will find this to be true. 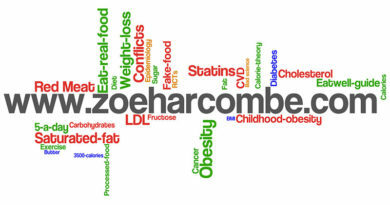 I think that Zoe Harcombe is an excellent pioneer for Eating Real Food. I would also add that she is not just out to make a fortune, even though she deserves it for working so hard, but to get word out. She is becoming more and more in the public eye, and I cant wait for the day when she becomes a household name. Because she will! Interesting comments grgrsmith especially the sue for Iibel. FYI. You can only sue for libel and win if the person you are suing has lied. I’m pretty damn sure that Ms Harcombe has her facts more than accurate… Check them yourself as she encourages people to do by including in the above article links etc. Think about this… Instead of a bowl of Kellogs why not just give every child a can of full fat full sugar coke for breakfast? They would get the same sugar intake! Grgrsmith: “This is one of the most disgusting articles I have read in recent days.” What? More disgusting than feeding children sugar and making them fat? 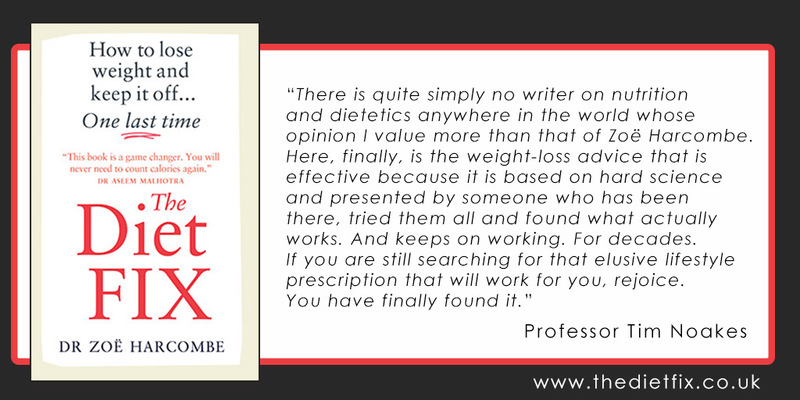 By the way, to counter your view that “you’re ripping people off for diet books”, The Harcombe Diet is probably the most sensible piece of dietary advice I’ve ever received. From 15st to 13st during the course of the summer, eating the things I enjoy, in balance and in tune with what my body says it needs (and not what the sugar-obsessed fake food industry tells me it needs). Finally, looking forward to Kellogg’s suing Ms Harcombe is typical of someone who has run out of rational arguments. This is one of the most disgusting articles I have read in recent days. The idea that feeding children should come second to middle-class grievances is abhorrent. Even if most parents are capable of feeding their children breakfast, it might be cheaper for them to send their children to breakfast club in order for them to buy healthier foods for the child’s other meals. “Those children lucky enough to have mums who know all about real food and healthy eating”? And dads, too. My youngest sister is five years old and my father does all the shopping and feeds her of a morning. Your attempt to enforce the matriarchy is subtle, but hopefully will not go unnoticed. The idea that Kellogg’s are using social networking manipulatively is also ridiculous. All major brands use everyday people on social networking to promote their products, and they’re happy to, because they like and enjoy the product. Kellogg’s is no different in this respect, and it’s wrong for you to demonise them. While you attack Kellogg’s for the sugar content in their cereals, remember that sugar is cheaper than most cereals, and so this will help them keep costs down, in order that poorer families have access to cereals. Similarly, the fact that they do promote exercise through their swimming awards and competitions is admirable and shows that they do have some commitment to the wellbeing of children. To use the phrase “a party before school” is very manipulative of you. You have no evidence that children think this, and Kellogg’s do not promote their breakfast clubs as a party before school, so for you to imply that this is part of the advertising campaign is slanderous. Yes, of course Kellogg’s are doing it for money. There wouldn’t be any company that wasn’t. That’s how life in a capitalist society works, and you fully know that, because you’re ripping people off for diet books. Of course “breakfast skipping harms Kellogg’s profitability – it must be stopped.” If this were a pharmaceutical company we were discussing, would you be saying that people should avoid taking ibuprofen when they were in pain, because they’re not doing it out of the good of their hearts, they’re doing it for the money? I hope not, but it wouldn’t surprise me. That’s just a summary of the great number of problems I have with this article. I wait in anticipation for Kellogg’s to sue you for libel. The ads for Give A Child A Breakfast have been irritating the life out of me for all the reasons you cite, Zoe, and also because it is not my responsibility to feed other people’s children in any case. How dare Kellogg’s tug at heartstrings like this? Your Twitter responses just go to show what a darn good job they are doing at guilt-tripping people. I recall skipping breakfast myself, all the time I was at secondary school and sixth form college, because I just couldn’t face eating early in the morning, nothing to do with whether or not my parents could afford to feed me. My mother tried very hard to persuade both me and my sister to at least have a bowl of cereal before leaving the house, but to no avail, bless her! This was because she felt we should eat something before starting our day, perfectly correctly. I do wish that more people would realise that these huge companies are not in it for love, they are in it for money, and that’s that. I’m tempted to go off at a tangent here and gripe about the anti-bacterial wash additive being advertised widely at the moment, featuring various angelic children, with the voice over saying “You do as much as you can to protect your children, but could you do more?” or words to that effect. Guilt tripping, again. It is plain wrong.